Corporal Graham Belyea was born in 1921, the eldest son of Daniel Allen Belyea and Gladys Belyea of Winnipeg, Manitoba, and husband of Helen Belyea of St. Anne, Manitoba. Graham received his education at Gordon Bell High School and the Manitoba Commercial College. He joined the Canadian Army Corps of Military Staff Clerks in December of 1939. Graham was 20 years old when he lost his life on the Nerissa on April 30, 1941. He shared a cabin with Pvt. James N. Falconer, also of the CMSC. It has not been established if Graham perished on board the Nerissa or later in the cold waters of the Atlantic. Pvt. James Falconer was one of the survivors. Graham is remembered on the Halifax Memorial for servicemen lost or buried at sea. The war had a tremendous impact on the Belyea family as Graham's brother Allan lost his life in the raid on Nuremburg on March 31, 1944. He was a navigator in the RCAF, flying with an RAF crew in 103 Squadron. He is buried in the Commonwealth military cemetery in Hanover, Germany. 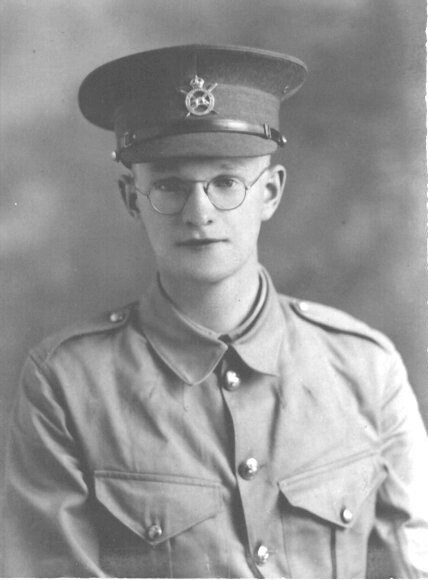 Harry Belyea, Graham's younger brother, was attached to the 28th British Columbia Regiment Armoured Division with the Canadian Army H.Q. 's staff (LAD). Harry Belyea, brother of Cpl. Graham Belyea.